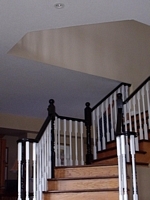 "Bill & his team have done work on both of my homes over the past ten years. He does high quality work with confidence, precision and great results. Word of mouth is the best advertising so I hope this will help any people looking for help to call Bill for a quote." "I have known Bill Todman for fourteen years. He is very professional and his work has been excellent. He painted and/or wallpapered my first house in 1988 and my subsequent homes in 1991 and 1999. He has painted the head office of my business in Oakville in the late 1980's and my new location in Burlington in 1993. Over the years he has done very satisfactory work at my parents' condo, my parents-in-law's apartment, my sister-in-law's various condos, my brother's Oakville home, my neice's home in Dundas and most recently my daughter's Burlington condo. 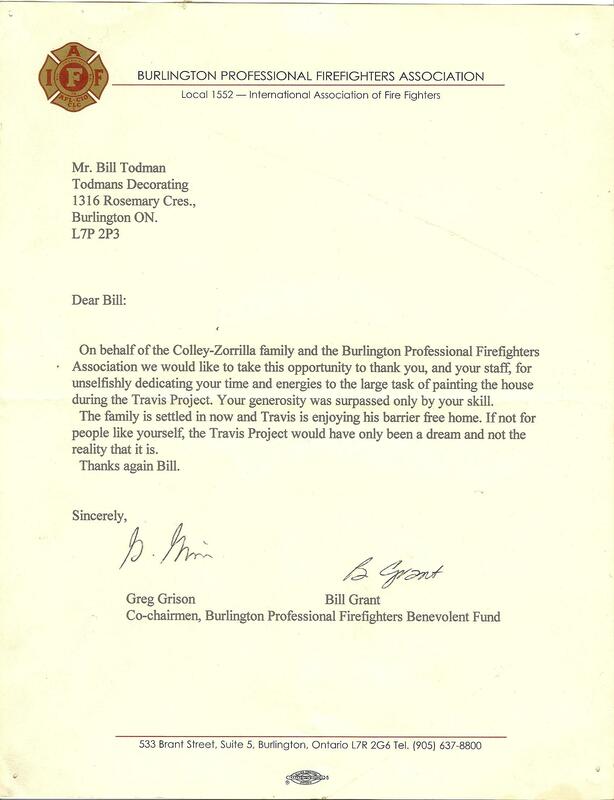 We are all extremely pleased with Bill's work and we would recommend him to Any One." "I hired Todman Decoarating to paint 8 rooms. I don't usually write reviews, but I was compelled to take the time to do so on this occasion because the work was excellent. I had very specific requirements and they followed them to the letter." © Todman's Decorating. 2001-2018 All rights reserved.